Through the SPOT program, the United Kennel Club offers owners a chance to prove that their dog is a well-behaved asset to their community by completing a series of exercises that demonstrate these valuable and necessary skills. These tests are conducted by SPOT Evaluators who will ensure that all participants will have a fun and positive experience with their dogs. The United Kennel Club believes in “Real Dogs for Real People” and developed this program to reward one’s everyday life with dogs. 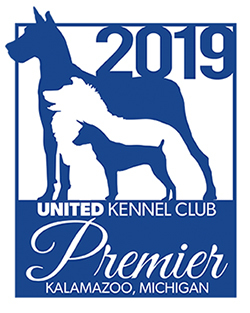 The United Kennel Club feels strongly that every dog should be accepted in their community as a well-behaved canine companion. It is important that not only dogs, but their owners as well, set an example for responsible dog ownership in our modern world of increasingly urban and crowded environments. Owning a dog is much different now than it was even 20 years ago. Methods in how we keep and live with dogs have changed drastically. Dogs and dog owners are no longer allowed the freedoms they once had. Learning appropriate behavior while on leash and in the presence of other dogs, and learning basic obedience skills, are essential for dog ownership today. The SPOT program consists of 10 separate testing stations. At each station, the dog must perform a basic exercise. These exercises are used to demonstrate that the dog is capable of exhibiting desired behaviors that the general public would expect to see in a well behaved dog. The dog will receive a rating at each station, varying from “Outstanding” to “Needs Practice”. Training for the SPOT test can begin as early as you would like to start training your dog. The SPOT program is open to all dogs, purebred and mixed breeds. Want to know more? The Participant Handbook has everything you need to know to participate in SPOT.